These canopy rain gutters are used to connect multiple 20′ x 20′ frame canopy’s together and create a larger seamless canopy. These will only work with 20′ x 20′ frame canopies. SKU: PKA07. Categories: Party & Event, Tables, Chairs, & Tents, Tents/Canopys. 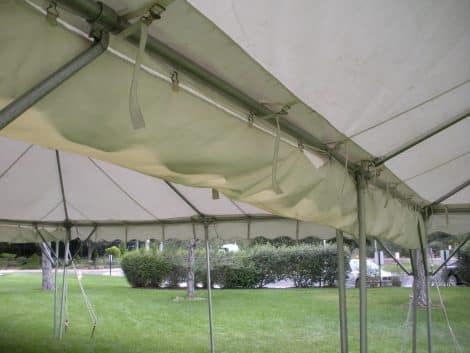 Tags: canopy, event tent, frame tent, party tent, picnic, rain gutter, tent, wedding tent. These sidewalls will only work on 20′ x 20′ frame canopy’s!